An historical locality in the Hunter 15 km west of Singleton has the name 'Comleroi'. This area is on the junction of the Hunter River and the Wollombi Brook. Note: Much of the land in Comleroi in the Hunter now belongs to the mining companies. Permission must be obtained prior to entering properties. A road called Comleroi Road turns north off the Golden Highway as indicated by three large signs. It travels alongside an airfield towards the Buchanan Lemington Colliery. The right angled bends in the road trace the edges of some old stockyards that were part of a huge travelling stock reserve in the Comleroi area. 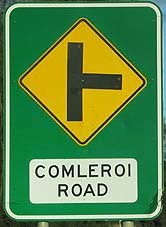 Comleroi Road was once part of the 150 km long original Comleroy Road that led from the Hawkesbury to the Hunter. On the eastern side of Comleroi Road, about 100 m from the road, is the concrete pillar of Comleroi Trig Station. This is an official reference point used in land surveys. Further down Comleroi Road are the gates of a fertile, richly grassed property in the very junction the Hunter River and the Wollombi Brook. In 1821 Benjamin Singleton was a squatter on this property and he used to drive mobs of cattle from the Kurrajong area along the original Comleroy Road to this farm on agistment. In 1825 this property was granted to John Blaxland junior (nephew of the explorer, Gregory Blaxland). Subsequently it was owned by the Spencer family then bought for dairying by the Nichols family. Finally in 1980 the Comleroi property was taken over by the adjacent coal mines. 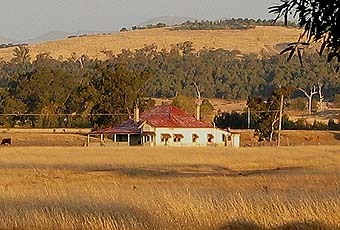 On old weatherboard homestead can still be seen on this Comleroi property. A paddock fence alongside this old homestead still traces the route of a very early road that went from Comleroi to Singleton crossing near the junction of the two waterways. 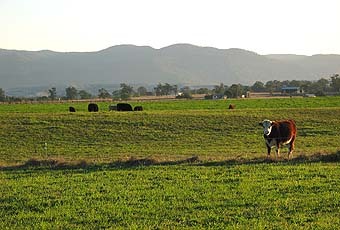 These few traces are the only remaining evidence of the mighty Comleroy district that stretched from Patricks Plains at Mount Thorley, covering the fertile plains on both sides of the Hunter River up to Denman (Merton) and then on up to Muswellbrook (St Helier's) on the edge of the Liverpool Ranges, covering an area of over 60,000 acres. 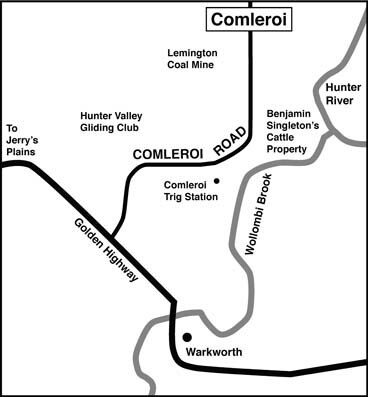 Comleroi in the Hunter should not be confused with the Hawkesbury Comleroy Road locality - a small district just north of Kurrajong. © 2005. comleroyroad.com . All Rights Reserved. A site on Comleroi in the Hunter.